Sergei Shcherbakov is open now. see the works of the artist. Shcherbakov Sergey Prokofievich was born on February 20th 1956 in the village of Lopatino, Penza Region to a family of many children. After the tragic death of his father in 1964, his family moved to the ancient city of Penza, one of the cultural centers of Russia. The emotional, sensitive youngster was drawn to the beauty of nature from the earliest years of his life. His love for the nature helped him to become an artist. Sergey drew a lot from nature. He always painted as he can remember himself from early childhood. In 1971 he entered the oldest Penza art school named after K. L. Savitsky where he was studying the decoration of theatre. During his studies, in addition to the understanding of professional skills, he studied Russian and foreign culture, participated in organization of drama performance and art exhibitions. After graduating from high school, he worked in the Penza drama theater as a decorator. Now he continues to work in the genre of landscape and still life. In 1982 Sergei Prokofievich came to Leningrad. He was overwhelmed by the beauty of city, the architectural ensembles, and the wealth of museums. The artist spent much time working in the village of Siversky, Leningrad region. In 1984, with a group of artists he visited Island Valaam for the first time. This amazed him by its severity and beauty. Valaam’s impressions became one of the themes of his work in the following years. In 1994, he began to cooperate with the gallery «Mart – Art» in the city of Kouvola in Finland. In those times, he traveled all across Finland, and creating new paintings dedicated to this beautiful Northern country. 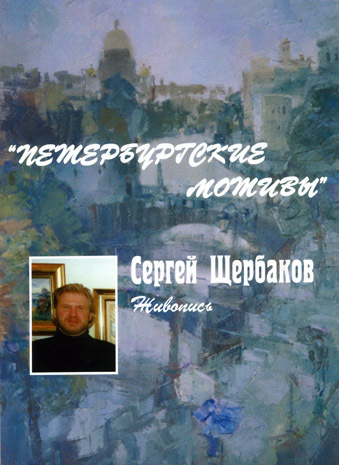 In 2004, as part of a group of artists, he repeatedly visited Belomorye, learning the North of Russia. The stern and distinctive beauty of the original facial features of the locals, the warm welcome and the anticipation of new experiences again called the artist North. The artist currently works in the genre of urban landscape. The motives of his landscapes are concrete and recognizable. Any static clearly does not correspond to the temperament of the painter. True to reality, the artist never embellishes reality, but every most ordinary action is executed for him by beauty. There are no everyday situations for him. Everything that happens in life, he considers worthy of aesthetic artistic understanding. The artist’s works are in the Museum of the World Ocean, in museums of Karelia, purchased in private collections in Russia, Finland, Sweden, Germany, Japan. He currently lives and works in St. Petersburg. Member of the Union of artists of Russia.